On Monday’s edition of Breitbart News Daily, SiriusXM host Stephen K. Bannon asked GOP presidential candidate Donald Trump if he thought the Republican Establishment, as represented by figures such as House Speaker Paul Ryan and 2012 presidential candidate Mitt Romney, was giving him more grief than his Democratic opponent Hillary Clinton. “We have to get very tough, and very strong, and very vigilant. 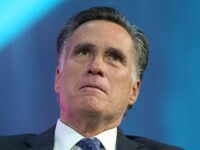 Otherwise, we’re not going to have a country left,” he urged. 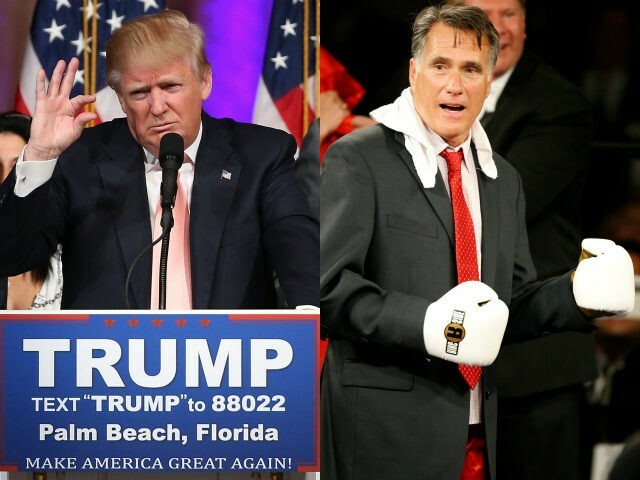 Trump thought Romney would rather see Hillary Clinton as President than him. “He’s a very jealous guy. He’s got a lot of problems. I watched his statement over the weekend. Actually, it was sort of sad and pathetic at the same time. It was pathetic, but it was sad, too, to watch him,” said Trump. “That was an election he was running against a failed President. Steve, that was an election he should have won so easy,” he said.